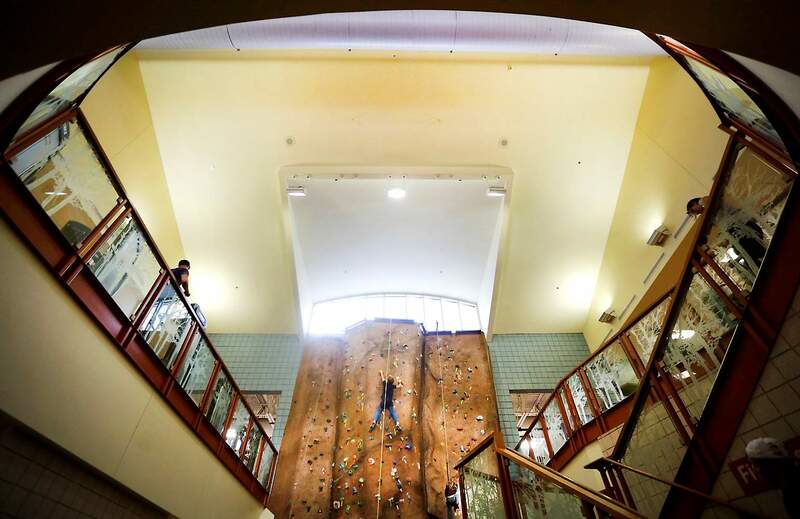 A piece of art that used to hang near the top of the climbing wall at the Durango Recreation Center fell from the ceiling and struck a woman on the head. A lawsuit seeking damages has been settled. A Durango woman who filed a lawsuit against the city of Durango after a piece of art fell on her at the Durango Community Recreation Center has settled her case. Shaohong Deng was watching her child on the climbing wall when a piece of art that resembled a kite fell from the ceiling and struck Deng on the head. A piece of fabric on the kite wrapped around her head and jerked it forward, according to the civil complaint. She suffered injuries to her right shoulder, neck and left ankle in the Aug. 31, 2013, incident. The case was settled and formally dismissed Dec. 29 in 6th Judicial District Court. The city of Durango did not immediately respond to an open records request seeking details of the settlement. Efforts to reach Deng for comment were unsuccessful. The art was installed in 2001 before the opening of the rec center in 2002, said Cathy Metz, director of Parks and Recreation. It has since been discarded, she said. “We do not know why it fell,” she said.